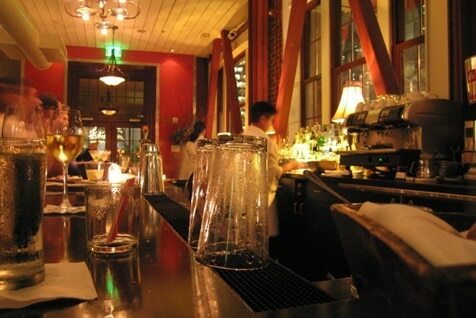 Home » Greenroom » Why Should Restaurants Be Virtually Available? Why Should Restaurants Be Virtually Available? The internet has transformed the way we communicate, consume media, shop, and even eat. 3 out of 4 Australian internet users shop online, and the 23 million meals ordered through an online ordering system are indicative of this. Brick and mortar companies such as Alsco, serving brick and mortar customers such as restaurants are enhancing their online presence with new, revamped, fully-responsive websites. So why should your brick and mortar restaurant become available to virtual customers? Virtually available restaurants are not the future – they’re the present. The online takeaway platform has been around for close to a decade, so ordering home delivery is nothing new for Australians. Handing out letterbox leaflets of your takeaway menu only does so much these days. Modern lives are getting busier by the year, and an online delivery aggregator like Menulog combines all the restaurants in a customer’s local area that are open and ready to feed them on demand (or indeed at a selected time well in advance). Restaurateurs might be sceptical of this advice given the line of business, but look around. Over 5,500 restaurants signed with the platform (and more joining every day), and research found that at least 43% of Australians spend over $50 a week on takeaways. These restaurants have prime real estate for the huge numbers of loyal online customers. If a restaurant is not already well-established, is new to an area, or is located in a secluded spot with few passers-by, then an online presence is vital in the early days of business. You can’t turn customers into regulars without, well, new customers. A downside to any business that involves customers is the necessity for online reputation management. Businesses are run by people, and people make mistakes. You can’t please everybody, and things will go wrong from time to time, but how a business handles these issues will set them apart from the competition. With online forums, social media, review websites, there are a million ways for people to talk about a restaurant, but the ‘any press is good press’ saying does not apply to this industry. Bad ratings and reviews can be very harmful to business. So how do you prevent people from bad-mouthing you all over the Internet? However, having an online presence means you can guide these conversations, do some damage control, and solve any issues published by disgruntled customers. Creating your own social media accounts means you can push positive information out into the world. 96% of Australian restaurants have a website, but only 69% have social media, so many restaurants still need to get up to speed. They allow restaurateurs to show mouth-watering food images, entice customers of their clean-crisp table settings, run competitions, interact with customers and maintain relationships that will hopefully translate into regular orders. More than this, it gives customers a chance to see the positive and personal side of a business, plus the way negative experiences are rectified. Following on from this, social media and millennials go hand in hand. In fact, the online world and millennials go hand in hand. But don’t confuse millennials with teenagers – this demographic refers to those born in the early 80s up until about 2000 (i.e. young adults with disposable incomes, but also consumers in their early 30s). This group (and potentially a key market) prefers to interact with brands that have a personality rather than engaging with traditional forms of advertising as previous generations have done. More importantly, despite having lower incomes than the rest of the working population, Millennials spend the highest share of their income online. That said, millennials aren’t the only consumers moving their eating habits online. Providing a virtual outlet for your restaurant benefits more than one demographic: professionals with unpredictable work hours, families with young children, and generally speaking, the time-poor and those who couldn’t follow a recipe if their life depended on it. The locals in your suburb might know your restaurant exists, but you need a wider reach than that. Joining a restaurant aggregator platform means access to its huge database of customers living in a restaurant’s surrounding areas. From the diner’s perspective, ordering in is no longer restricted to pizzas or Chinese takeaway as it was a decade or two ago. Australians want restaurant-quality food available at home, and they want their plethora of choices to be compiled into one list in one place, and not found in the outdated takeaway menus on top of the fridge/in the recycling bin. More than this, consumers are realising that ordering in needn’t cost a fortune. It’s strongly encouraged that restaurant offer specials and deals to customers (new and repeat) as an effective drawcard through online platforms. Being online also reduces the number of order mistakes. The heyday of the telephone is far from over, but it remains a liability for taking orders. Poor reception, language barriers, and forgetting or misunderstanding a part of the order are terribly common issues. Online ordering provides a clear written record for customer and restaurant alike, dramatically minimising confusion. The online ordering experience is already an integral part of modern life in Australia, and the restaurant industry is no exception. Do not miss any opportunity, adopt change and make your restaurants available online. Alsco would like to thank Menulog for this post. Restaurants should be seeking virtual channels like Menulog to tap into the abundance of customers that require the option of ordering in.